Sustainability is the human preservation of the environment, whether personally, socially, or economically through responsible management of resources, education and continuous process improvement. Being sustainable corporate citizens will increase sales and profitability by reducing costs and having a competitive advantage. We do this through awareness and education, Policies and Programs and Meticulous Planning. The main purpose of this speech is to demonstrate how implementing lean six sigma could help companies move towards a sustainable path and explain the strong connection between lean and sustainability principles in theory and practice. Sustainable environments require having actual data to back up decisions so that methods are used to have improvements for future generations. 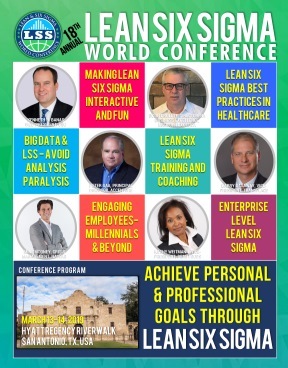 The key outcomes/takeaways for attendees to this speech would be to explain to audiences how they could execute lean six sigma and align it with sustainability principles. The key audience for this speech is for Quality engineers and managers, lean and six sigma experts, waste managers, sustainability experts, corporate sustainability leaders, industrial and systems engineers, faculty members and students in industrial engineering and sustainability schools.